This month I can seamlessly predict what your daily media digestion will mainly consist of – I suspect you have just finished reading about the New Year being THE time to discover a new you? Or maybe you’re wincing at the reality of being one of the 50% of people that have already ditched their diet and fitness resolution. Sound familiar? Unfortunately the commercial hype around embarking on a healthy lifestyle in the New Year has somewhat diluted what actually is a very important message. The effects of yoyo dieting, blowing out one month and compensating by depriving yourself the next, is actually more dangerous than if you were to find a constant happy medium. So why do we find ourselves becoming so absorbed with the quirky fads that will be a long forgotten come the Summer? Particularly when there are actually a lot of growing trends emerging that offer a much more holistic approach to fixing our psychology towards health, food and fitness. These are the solutions that offer a real lifestyle change. Recent stats released by Google show that the Paleo diet retained its first-place crown for a second year as the most searched for diet of 2014. Surprisingly, given that both aren’t new, gluten free and vegetarian diets also made the top ten list this year. All three of these have a common thread in that they generally promote the consumption of real, whole, unprocessed foods. This is interesting, as it would appear that as a nation we are increasingly becoming savvier about the provenance of the food we are consuming. This is supported by figures from the Soil Association, who for the first time ever reported that organic food sales grew at a higher rate than traditional grocery. 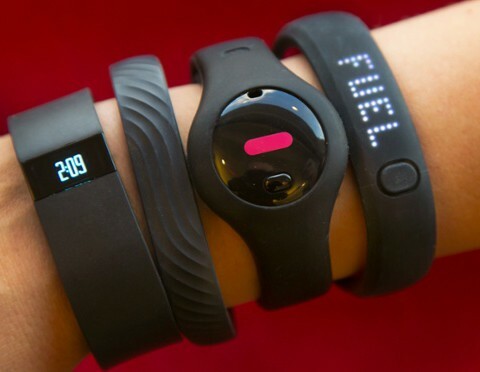 Wearable technology is by no means a new concept, however research company IDC predicts that 2015 will be the year when the market really explodes. From electronic wristbands to smart-watches, it expects a 70% year-on-year increase in shipments of wearables products to the end of 2015. 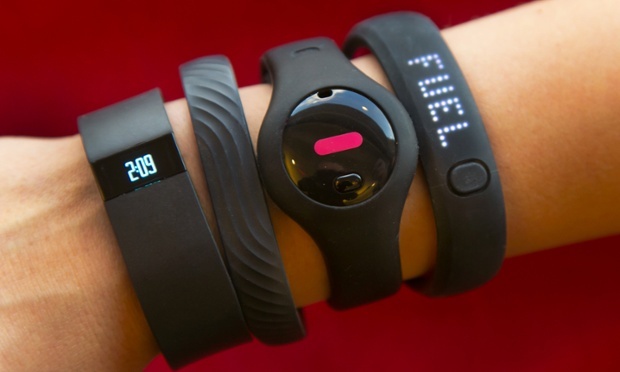 Over the next 12 months FitBit sales alone are set to exceed 43.2 million, according to the analysis company Canalys. Interestingly, Google also recently released an analysis of its Google Play Store activity, which suggests that Health and Fitness was the fastest growing app category over the past year. Figures published in a paper on the mHealth app development industry estimates that there are now 100,000 apps dedicated to mobile health available for Android and iOS, a figure which has doubled over the last two years. The report shows the global health and fitness mobile app market is currently worth about $4 billion, but this could increase to $26 billion by 2017. For health industries the developments in wearable technology are particularly poignant, as brands like Samsung are even starting to look beyond fitness into chronic disease management. The Guardian even reported today that the future of wearable technology isn’t in the device itself, but what can be done with the data they collect. Smart watches already monitor activities like heart rate, calories burned and kilometres travelled, but is it too farfetched to think that these devices may at some point prove to be your lifesaver? Have you ever blamed your office environment for piling on the pounds? It was only a few years ago that being desk-bound was said to be fuelling Britain’s obesity epidemic, with one in three workers attributing their workplace for weight gains of up to one stone. The American College of Sports Medicine recently released its annual Top 20 Worldwide Fitness Trends for 2015, citing worksite health promotion at number 11. In just a few years, the corporate world has in some instances done a complete U-turn in their approach to health and wellbeing in the workplace, as employers increasingly understand the impact on attitude and productivity. There are a growing number of programmes, many housed physically within companies, which have been designed to improve the health and well-being of employees, alongside services that evaluate health, health care costs, and worker productivity. Additionally, there is also an increasing number of corporate incentives such as the Global Corporate Challenge and Workplace Challenge which are increasing in popularity. As many of us undoubtedly spend more hours during the day with our office colleagues, it’s promising to see that business owners and senior management teams are recognising the importance of encouraging physical activity within the working environment. This is an emerging trend that has the potential to make a huge different to our general health and wellbeing. As one of our core client sectors is sport and leisure PR, this is certainly one trend that we are naturally engaged with, as five Escapade PR team members are set to take on the upcoming The Cancer Research UK London Winter Run! Here’s to 2015 being your happiest and healthiest year yet!